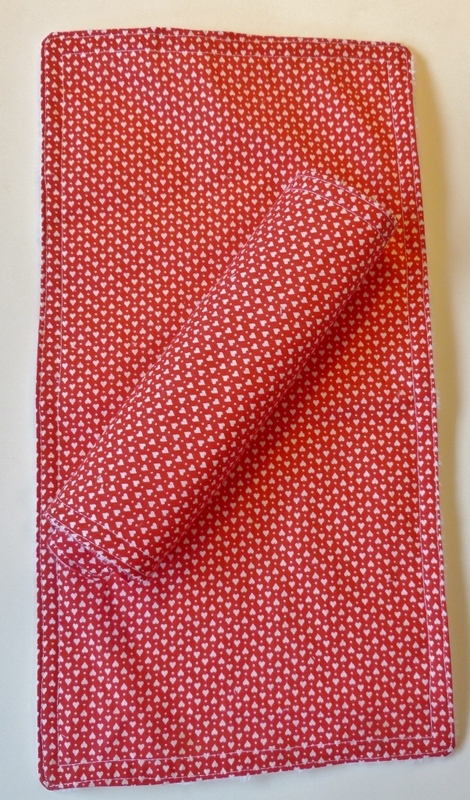 This set of two burp cloths are made in a red fabric with tiny white hearts and are backed with a white ultra fleece fabric. They measure about 8 inches by 15 inches and are machine washable; tumble dry. The set sells for $12.50 plus shipping. 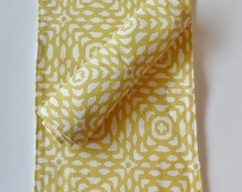 I will carefully package the burp cloths to protect them from damage during shipping.